What can school systems learn from Singapore? Our Deputy Director, David Harris, visited Singapore in October 2015 with a diverse group of education leaders from Massachusetts. They visited schools and met with system leaders involved in teacher and leader preparation among others. Here are his observations and thoughts. Teachers as nation-builders: teachers are expected to be creators of knowledge, facilitators of learning, architects of learning environments, shapers of character and leaders of educational change. Mastery focus with pathways for growth: there are clear rubrics against which teachers are being measured (the Current Estimate of Potential or CEP) and educators are given feedback three times a year on their progress. Students too are assessed in formative and summative ways so students and parents know precisely where they stand and what they need to work on. Focus on values and Social Emotional Learning: designed to put the community and the nation first in Singapore, communicating and modeling consistent values and norms, while respecting and embracing the four distinct cultures that make up the country, reduces tension and promotes collaborative learning among students and teachers. Contributing to the teaching profession through mentoring, collaborating and modeling, is not only valued but is essential for promotion. Mother Tongue education: while English is the primary language in the country and in all content classes, it is required that each student learns his or her mother tongue in school as well (and there are three of them) which fosters respect for cultural differences. Principals are the key: They are carefully selected and groomed and are deeply trusted to tailor implementation of the Singapore values to their school’s context. In their final six months of pullout training (right before assuming a principalship) new leaders learn to be values-based, purposeful, innovative and forward-looking in their roles of people leadership, strategic management and working in a complex environment. They also develop a global perspective fostered by continuous exposure to, and inquiry into educational and economic systems around the world. The fact that principals can be assigned anywhere, and are moved every 5-7 years, actually gives them the incentive to build school cultures that are not principal-dependent and embody a consistent set of values and beliefs. Rethinking resources regarding class size: John Hattie, in the book Visible Learning, pointed out that class size is not a key factor in student growth, it is what happens in the class that drives growth. Singapore has chosen to allow class sizes to be large but invests heavily in technology, training and support staff within each school so that the teaching practice maximizes student learning. Continuous improvement: every educator and leader speaks of continuous improvement – in their preparation, in their practice, in their partnerships, in their processes and in the outcomes they produce. Coherence: at the end of the day it is the tight alignment of the vision, goals and strategies throughout the system that ensures deep impact. When all crew-members row in the same direction, a boat flies along. As background, Singapore is a small city-state – 5.5 million people, 475,000 students (prior to their university, junior college and polytechnic institutes of higher education), 365 schools, 33,000 educators and 34 students in an average class. They spent about $8.7 billion US in 2013 (including teacher training and all branches of the ministry of education) or $18,300 per student. From the inception of the country, education has been recognized as one of, if not the most important strategy in building the nation, and to Singapore education is a non-negotiable investment not an expense. The teaching profession is lauded and getting a spot in the only teacher preparation program (run by the National Institute of Education, a state agency) is highly competitive and requires high achievement, interviews and demonstrations of the desired characteristics and values. Once selected, tuition is free, a job is guaranteed (although the Ministry of Education determines your placement) and salaries are commensurate with engineers with the opportunity for bonuses exceeding 25% of base salary for top performers. Once on the job, teachers get 100 hours of Professional Development per year, a reduced workload in their first year (to 80%), extensive mentoring from a senior teacher and the ability to advance either as a lead teacher focused on pedagogy, a specialist in curriculum or other areas, or through the school leadership track. What makes the system work, very much like the best US charter networks, is the coherence within the system: everyone is committed to a single vision for student success (often written on the walls of the institution), the systems for developing and supporting teachers and school leaders are completely aligned, research proven programs such as DuFours’ PLC work are implemented with a high degree of fidelity, administration is handled by business managers so the leadership can focus is on instruction, there is autonomy within each school to tailor the curriculum and instruction to the student population, and the values they instill in the students are as important as their academic achievement. Also, much like successful charter networks, teachers can expect to work 11 hours per day, must become expert in two subjects and take on many extra duties beyond student loads of up to 200. It is perhaps no wonder that in this environment students outperform most other educational systems. Besides tremendous workloads for teachers (that lead about 4% to leave each year, often when they start families) there are some other drawbacks to the Singapore system and some aspects we might question. Singapore considers itself a meritocracy and uses high stakes and therefore high stress tests, culminating in the Primary School Leaving Exam (PSLE) taken at the end of 6th grade, to track students into different secondary schools. These secondary schools have different expectations, foci and supports which allow the students’ experience to be better tailored to their needs and learning capacity, although once again these paths culminate in high stakes British GCE exams (N, O or A levels depending on the pathway). Many parents and students rightly perceive that their opportunities are immediately limited at the age of 12. In all fairness the system does allow late bloomers to transfer to faster tracks, much like our community colleges provide a pathway for some to enter 4-year universities, although those transfers tend to be the exceptions not the rule. A side effect of the PSLE test has been the development of a tutoring industry that by some accounts makes up 3% of the country’s GDP. If nothing else this alone drives up the academic achievement of all students. While the system does seem to teach even struggling students, because the lowest performers on the international PISA tests score higher than 70% of US student, the ability to meet the needs of all learners is questionable. The approach is to have every student “achieve their full potential” (as opposed to “No Child Left Behind”) and, with classes of 40 students and a style of instruction that emphasizes accuracy of content, few are trained to support struggling learners or students with special needs. Moreover there is little time (1 hour per week) built in for any specialized instruction. There are actually a few special schools for those with extreme disabilities or those with consistently low academic performance, an approach the US has chosen to eschew publicly although the services are available privately, and one question that remains is the degree to which the pedagogy that is being developed to serve those students will be applied more broadly in the future. Perhaps the most common criticism of the system is the lack of focus on creativity and entrepreneurialism but those are not the characteristics that have driven Singapore’s success. Singapore has grown so dramatically because they look at where the global economy is going and identify how they can fit in and drive the growth throughout Asia. 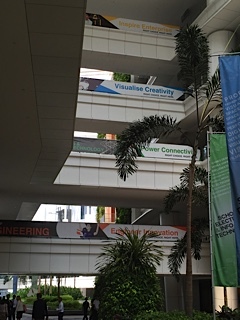 They invest heavily in sending educators out to both learn about and support the growth of other countries so when those countries are looking for a partner to fuel their growth Singapore is the obvious candidate. What Singapore does value is ensuring that every citizen has a meaningful job (migrants from Malaysia tend to fill in the really low level jobs) so education is geared to finding a suitable role for everyone. While perhaps limiting opportunity for some, this approach has reduced or even eliminated poverty and crime and has allowed people from those four distinct cultures to coexist and thrive together while the US poverty gap continues to increase and racial tensions persist. Guest blog by Jeffrey Benson. As the decades that I have worked in schools begin to pile up, I have come to call myself an educational elder—someone trying to synthesize and dispense whatever wisdom I have gleaned through the years; it’s what elders have done in traditional communities all over the world. Most of my work is focused on making schools exquisitely respectful organizations, where our ideals of democratic inclusion and robust education for every child move an inch or two closer to reality, even for the most challenging students. Along the way I’ve been hired to help school systems hold more effective IEP meetings, and to help staff work better as a team, and to problem-solve for marginalized students, and to increase the use of authentic assessments, and to shape the study of literature for developing social skills—it’s all the same pie, the same Teachers21 notion of building reflective learning cultures that improve steadily through effort and teamwork. Wherever I gain entry, the fractal of exquisite respect and learning theory has a chance to crystalize. Unfortunately, even when teachers and administrators give me high marks for my efforts, I find that improvements I may have helped to bring about are rarely full-bodied and lasting. Although my workshops, presentations, and coaching provide schools with a common language, inspiration, and skills, these are too often adopted piecemeal and at random –there’s not a reliable approach to implementing change. Everyone knows you have to do more than bring aboard an educational elder—but most schools don’t consistently know what else to do. I wrote Ten Steps To Managing Change in Schools (ASCD 2015) to provide a predictable template for improving a school. It’s a model that can be adapted to almost all program initiatives, so school leadership doesn’t have to exert time and energy to reinvent the wheel with every new improvement campaign. One of the lessons all elders bring with us is that reality is never as predictable as we might think. A mentor of mine warned me: “Be nimble in your leadership.” I like this new book and I know it needs to be adapted, to be used as a touchstone, not as a millstone. Change is a process, not an event; it’s never completely “done.” I am hoping that the tools and concepts in the book allow all of us who strive to make schools better find our efforts connected to a larger understanding of school improvement. ESE Commissioner Mitchell Chester, MASS Executive Director Tom Scott, Fitchburg Superintendent and MASS President Andre Ravenelle, William James College Professor Nadya Reilly and Teachers21 President John D'Auria participated on a panel to discuss the importance of addressing Social-Emotional Learning in schools. SEL has gained recognition over the last few months as an essential factor in student learning, culminating in the Department of Elementary and Secondary Education and the Department of Early Education and Care adding Social-Emotional Learning standards to their standards for educators. "Superintendents are starting to pay much closer attention to the importance of social and emotional learning" says John D'Auria. "If school leaders model respect for the adults and students in their building, commit to a no shame approach, and respond to wrong sounding ideas with curiosity they can create the kind of safe, supportive environment that promotes learning and continuous improvement for all." Legislators are also paying more attention to this issue, in part because of the Social-Emotional Alliance for Massachusetts, SEL4Mass.org. In the state budget passed last week there is a $500,000 line item for Safe and Supportive Schools, including $400,000 in grants for districts to develop, implement and evaluate plans to address SEL. Teachers21 has been helping districts improve on school culture and leadership throughout the Commonwealth and is thrilled to see that the importance of these issues to learning and achievement are being recognized. Teachers21 is honored and excited to work with Kentucky educators to lead a five-month, statewide initiative: the Activating Teacher Leadership Institute (ATLI). 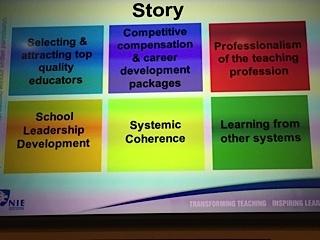 Developed by Teachers21 in partnership with the Kentucky’s Network to Transform Teaching (NT3), this initiative is aimed at implementing teacher leadership models on a systems (school or district) level. This ambitious initiative is supported by a team of Kentucky-based regional coaches representing organizations including the Kentucky Department of Education, the Fund for Transforming Education, Hope Street Group, and the Collaborative for Teaching and Learning. For the launch of this work, school or district-based teams of 3-5 educators (administrators and teachers) gathered in Lexington, KY in June to learn with Dr. Jill Berg and Dr. John D’Auria. Participants from a diverse group of schools and counties across Kentucky focused on how to strengthen school and district leaders’ abilities to identify, bolster and tap the leadership potential of their teachers and to understand how to support and align this leadership influence with school and district goals. Each team was charged with examining school data and identifying a learning gap that they wanted to address through teacher leadership. Each team will craft a specialized teacher leadership role or refine an existing one that will be focused on assisting educators to shift their practice in order to better meet the identified student learning gap. This project’s first phase will continue over a five-month period with the support of trained regional coaches who will continue to be supported by Teachers21 to assist teams in shaping and supporting these new teacher leader roles. The teams will then reconvene in October to share progress, learning, and ideas for next steps. Learning derived from this important initiative will help advance the networked improvement community (NIC) of educators collaborating to maximize the impact of accomplished teachers through teacher leadership as part of the Network to Transform Teaching, a national network established by the National Board for Professional Teaching Standards and the Carnegie Center for the Advancement of Teaching.